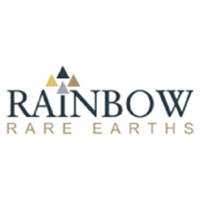 Rainbow Rare Earths Ltd (LON: RBW), the rare earth element mining company, has today announced an operations update from its Gakara Project in Burundi for the three months to 31 December 2018. “Production in the quarter was broadly flat compared to the prior period, however we have now put in place a plan to rapidly increase our scale of mining operations by opening two further areas before the end of 2019 which is expected to transform our overall production profile and financial performance to take us to breakeven and beyond. Production for the three months to 31 December 2018 from the Gakara mine measured in terms of exported concentrate remained in line with the (adjusted) previous quarter at 275 tonnes. 300 tonnes of concentrate were sold in the quarter (Q1 2018-19: 350 tonnes), while average grade decreased slightly from 59% to 56% TREO. The Company’s partnership with thyssenkrupp Materials Trading (‘TK’) for the sale of concentrate is working extremely well and the demand for Rainbow’s concentrate product is significantly higher than the current production. Gross sales price per tonne achieved in the quarter was approximately 9% below Q1 2018-19 at US$1,884/t compared to US$2,147/t, with the difference principally caused by the effects of a decrease in market prices for rare earths in the period (the Company’s indicative basket price decreased from US$11.91/kg to US$11.33/kg during the quarter) as well as a reduction in average TREO grade from 59% to 56%. TK’s marketing and handling costs fell to US$94/t from US$168/t in the previous quarter as a result of some lower handling costs at the destination port. Production costs of US$2,827/t were slightly lower than Q1 costs (US$2,851/t), but remain significantly higher than expected due to modest levels of ore produced in the quarter from Gasagwe and Murambi (see below) and high costs for rented mining equipment (which the Company is now proposing to purchase outright, subject to financing). Final permitting for Murambi, the Company’s newest mining area, was received in early December, which was later than planned and therefore delayed the creation of a haul road and waste dump until the New Year resulting in an impact on the rate of extraction from the site. The current quarter is expected to provide significantly more ore tonnes from this area as Murambi reaches full scale operation. In addition, the concentrate yield from Murambi ore has improved as more tonnes have been processed and suggests that this deposit will approach similar yield levels to Gasagwe. As explained in the previous quarter, production from the Gasagwe pit has delivered at lower rates than had been initially anticipated due to variations in vein structure and consequently the Company has adjusted its production planning to incorporate recent experience and better reflect the likely output of each mining area on an average quarterly basis. Whilst the Company has achieved notable successes so far in developing the Gakara Project and demonstrating that it can consistently produce and sell rare earth concentrate, the revised production expectations for Gasagwe and Murambi demonstrate that the Company needs to be operating additional mining areas in order to de-risk the fluctuations and uncertainty caused by operating at a limited scale and to deliver profitability. The Company is swiftly moving to develop mining operations at the Kiyenzi and Gomvyi Centre areas, as previously announced, and expects both areas to be in operation in the latter half of calendar 2019 with a further new mining area planned to be in operation in early 2020, to replace Gasagwe which, as originally planned, is expected to reach the end of its life in late 2019. Cash flow breakeven on a monthly basis is therefore anticipated in the second half of calendar 2019 as production from the planned new sites commences. The funding agreement with Lind Partners of up to US$7.75 million as announced on 28 January 2019 provides Rainbow with confidence over a base level of funding over the next two years but also maximum flexibility during the forthcoming period of increased development where mining production may vary from month to month before it is anticipated to reach a more stable and cash generative level. In addition, Rainbow is working with its bankers and suppliers of new fleet and equipment to take advantage of credit facilities in the most efficient manner. On 17 December 2018, Rainbow announced its maiden JORC Resource of over 1.2 million tonnes covering just a small fraction of the Gakara Project. Three areas (Gasagwe, Murambi South and Gomvyi Centre) are very high grade vein stockwork deposits totalling 12,491 tonnes of Total Mineral Resource at an average TREO grade of 55% representing at least two years’ planned plant feedstock. Additionally, Kiyenzi was found to have nearly 1.2 million tonnes of Mineral Resource at an average grade of 2.2% TREO using a 1% cut off. These extremely positive maiden results demonstrate the huge potential of the Gakara Project, whether through a continuation of the low volume/high grade production or through eventual large scale development of lower grade material. From a standing start, Rainbow has learned a great deal about mining its high grade vein stockwork deposits during its first full year of production in calendar 2018. Initial targets proved to be challenging due to variability in vein deposition at differing depths. The opening of multiple mining areas during 2019 will serve to mitigate some of the normal production fluctuations from each site. The Company anticipates that both Kiyenzi and Gomvyi Centre will start contributing ore tonnes in the second half of calendar 2019 (H1 19-20 financial year) and take the Company to at least breakeven production. Concentrate production for the next six months is dependent on tonnages from the existing pits, Gasagwe and Murambi.